When you want the best workouts at home, adjustable dumbbells work best. Wondering what makes them great to use? Well, you get a plenty of exercises done with very little money. Today, Adjustable dumbbells have changed the way the world looks at workouts at home. 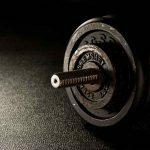 These are exciting times for home exercises as there’s a range of top adjustable dumbbell brands that can be easily used to solve many different purposes. Wondering why adjustable dumbbells are the best bet for home workouts? To begin with, to eliminate the need for multiple exercising equipment, people prefer to use adjustable dumbbells so with simply the change of weights, you can easily perform different body part workout. Here’s a range of some of the best brands in the industry and an overview about what makes them sell. When you think of dumbbells, don’t ignore this one brand. This brand comes with models like the Bowflex SelectTech 552 which you can easily set from 5 to 52.5 lbs. Talk about increments, 5 lbs is their favourite number. You also have SelectTech 1090 which goes up to 90 lbs in 5 increments. Isn’t that great? Users claim that this is their best feature. These are dumbbells that will not wear out easily. They are made of fine quality material, and there’s no complaint you will come across. Even better, they do not chip easily; a problem most brands go through. Now this gives the brand an edge over most others; it has a locking mechanism that allows you to change the weights within seconds. You just have to shift and go. And there’s a range of weights you can do this with. The brand comes up with some of the most adjustable models in the industry. So you have some plates that you can adjust by only rotating the dials. These dials can be seen at both ends of the dumbbell. And in some models, you can simply set the dial, and they pick on the desired weight. You can just start working out, and they will do the rest. Overall a great brand that comes up with the best-looking models and peculiar features. The only drawback is that they come with mostly plastic trays to store the dumbbells that are not a hit with many. But compare this to the market price and you will know what makes them so popular. When you want the best IronMaster, adjustable dumbbells are your best pick. Why? Firstly, they come in all kinds of versions. For instance, for some heavy weight workouts you have the heavier version and when you want something light, this works well. The fact that you are able to extend some of their models up to 120 pounds per handle makes them a hit with fitness freaks. If you are looking for something close to the professionalism of the gym, this brand has many things to offer. They have models that come in all metal construction that makes the models sturdy and interesting. The designs are made to be tough and are super heavy duty. The brand has models that are 1000 lb rated. The brand has its own unique locking mechanism. So when you are using it, the lock mechanism gets shorter as you use fewer pounds. So basically, a shorter lock mechanism for lesser weights. This makes shuffling between exercises easy. The screw-in pin is quick too. You can adjust the IronMaster models to all 11 angles. Whether it’s upright or decline, they are extremely convenient to use. This makes them popular among those who want tougher workouts. They mostly come in a variety of options like the super bench adjustable one. This helps you with a variety of exercises without spending more on a separate stand. Touted as one of the best adjustable dumbbells for p90x workouts; the only problem sometimes is the lock against the dial based picks. For those looking for something that changes weights rapidly, this may not be the best model. The size of these dumbbells is quite impressive. They are compact. But that doesn’t mean Bayou Adjustable Dumbbells compromise on quality. They are a great option if you want something for light everyday use. They mostly come in 50 pounds, which is great. There isn’t anything to complain about really. They may not be for everyone, but simplicity is their best feature. They come with the best handle adjustment as they follow the twist and go policy. So basically, you can just twist, and there’s a provision to make the adjustments with the tray also. This works like your knob adjustment. Now this is a catch. Adjust anything from 10 to 50 pounds. This is to say that it is damn easy to shuffle between various types of workouts. This gives you a variety of exercises to perform. Made from heavy-duty chrome plated steel, the dumbbells come with a great finish and the grip is firm. These dumbbells are the best option if you are not too fussy about certain things. For instance, they can seem a little unbalanced sometimes. Overall great workout models for home use. These are made to last.You will not need multiple dumbbells when you are using these. These are ideally for those who love power-packed workouts. These may not be the strongest but are tough and sturdy. The handles are in plastic, but solid. Most of their models come with trays to store them in. This makes it simpler when you have a lack of space. These are made of heavy-duty chrome plated steel. This makes them really strong and durable. They are also sturdy and classy. So when you look at the metal body, you will know what we are talking about. These are your pair of strong steel and solid plastic handle. They are built to last. The weight comes with a plastic cradle but is quite durable. You just have to turn the handle, and you can slide the weight in. It is very easy to switch between anything from P90X to the 20s and 50s. This may not be your most versatile model as they come in increments of 10but they are a great buy for the money. For some, the weights may feel too bulky. This is one brand that has it all. Everything from weight adjustment to performance is great. And the brand is known for models that are quite reasonable in comparison to other brands in the market. What more? They are bigger than your average dumbbells. You can use anything from 4 to 45 pounds on each dumbbell. This is mostly done in 5-pound increments. This makes switching between exercises a cakewalk. The brand comes up with some of the best models at most reasonable prices. If you compare the size of their dumbbells to the rest in the market, you will be able to tell the difference easily. They are ergonomically designed to suit all your needs. They are classy in their design appeal and come with a stand that makes it easy for you to store your dumbbells in. They come with a rubber handle made of thermoplastic that makes the grip firmer and they are extremely durable. They are a good deal except that the weight may not be as great for all kinds of users Because their average weight is also a lot; some find these bulky. Take that out of your list of concerns and this is a perfect brand to rely on. This is the most relaxing brand of dumbbells available out there. Stair master Adjustable Dumbbells are a hit with most users today. They offer you plenty of workouts to choose from and their lock technology is so far, one of the best. However, there are more reasons to pick them than just that. They come with patented TwistLock. This means you just have to twist and go. This makes you juggle between workouts easily. They are great for rapid workouts.Twisting the barbell handle is not your worry anymore. These dumbbells are all about the speed. They are extremely simple to operate and offer solutions to all weight adjustments within seconds. You can adjust the length as you change the weight. This makes everything so much easier. This is something you won’t find easily. The only issue one can possibly find is that of inability to change the weight on one separately, a feature many other brands offer. So when you change weights, you have to change on both ends. Except for this, a great brand and every bit worth your money. 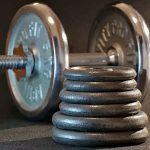 When you are looking for something more than just a regular workout session, some of these top adjustable dumbbell brands give you just the right solution you need. Whether it’s about a regular workout or a power-packed session, the brands give you everything. The best dumbbells are all about quality and durability. And these brands take care of both.